It has been a real pleasure to be part of the organisation of this wedding, the wedding of Alejandra y David. 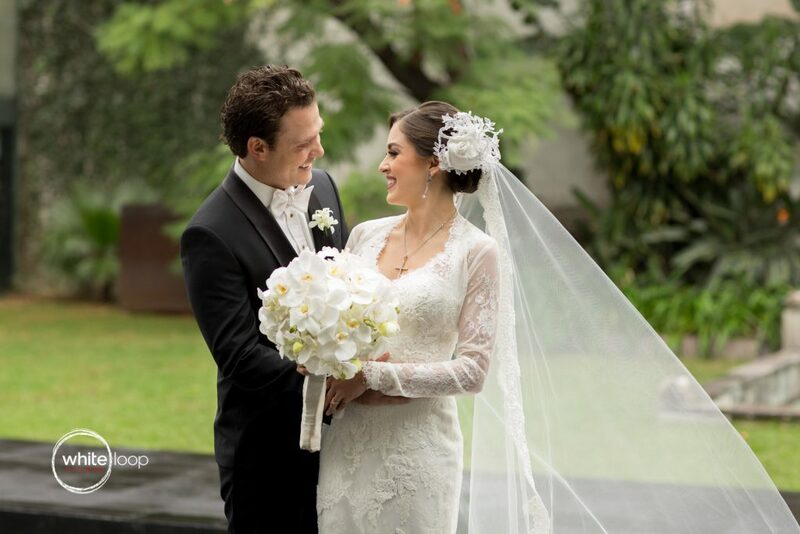 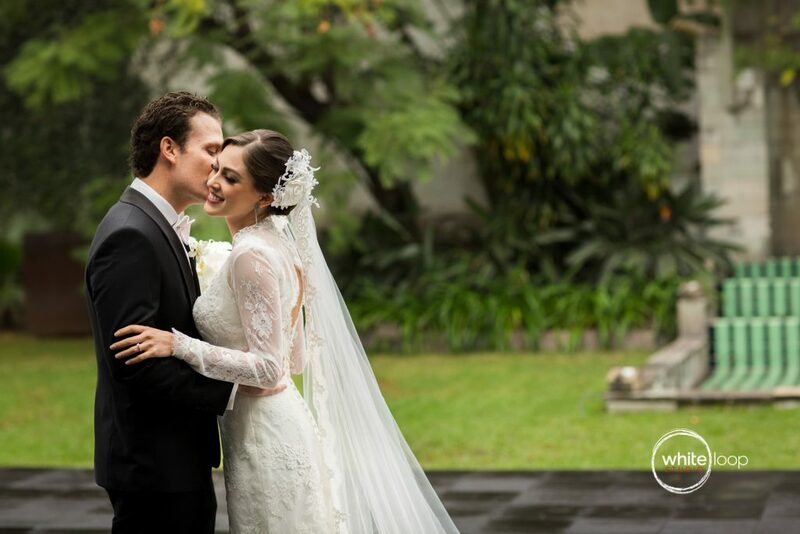 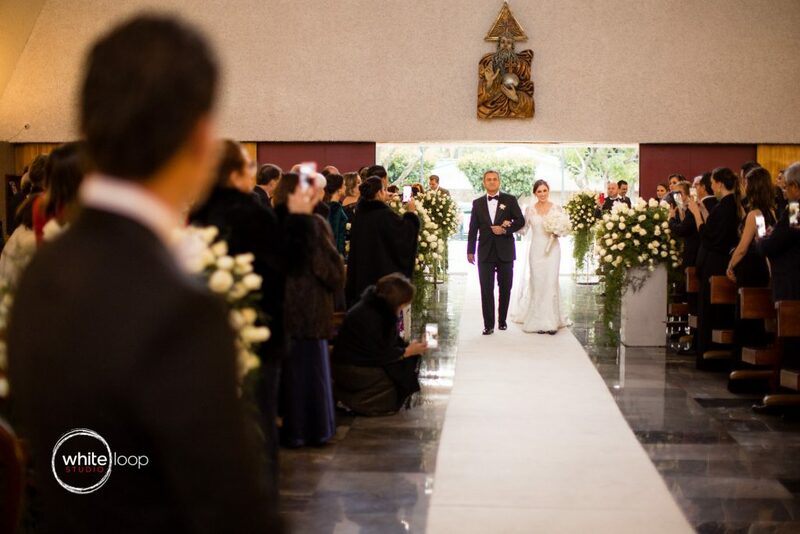 The wedding took place on a rainy day of February in Guadalajara. First of all we met with Ale in her family’s apartment to film her preparation. 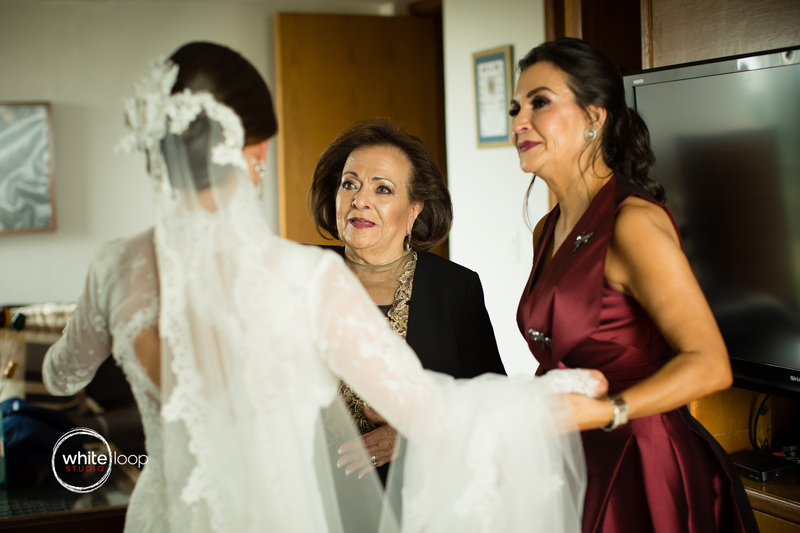 She decided to share this moment with her mother and her grandmother, which they hardly control their tears. 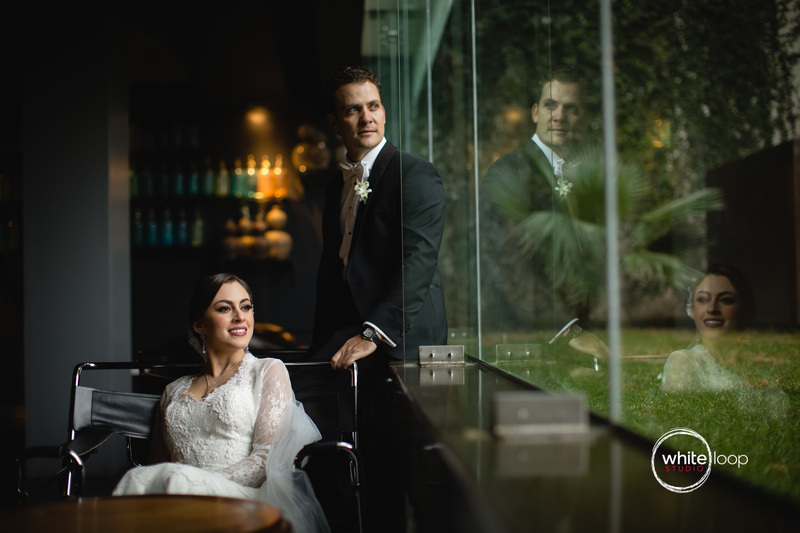 We had to move the portrait and family session to the Demetria Hotel because of the rain. 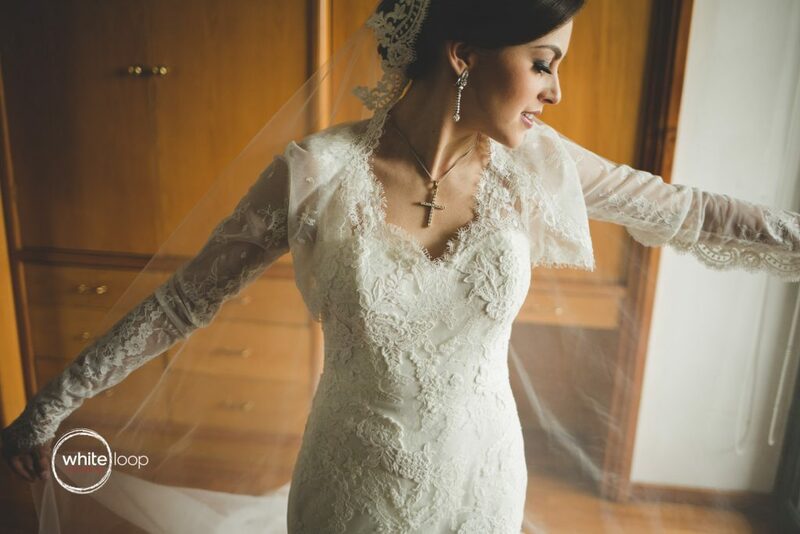 Not bad as an option as is very complicated to obtain a spot for a photo shoot in the Demetria Hotel. 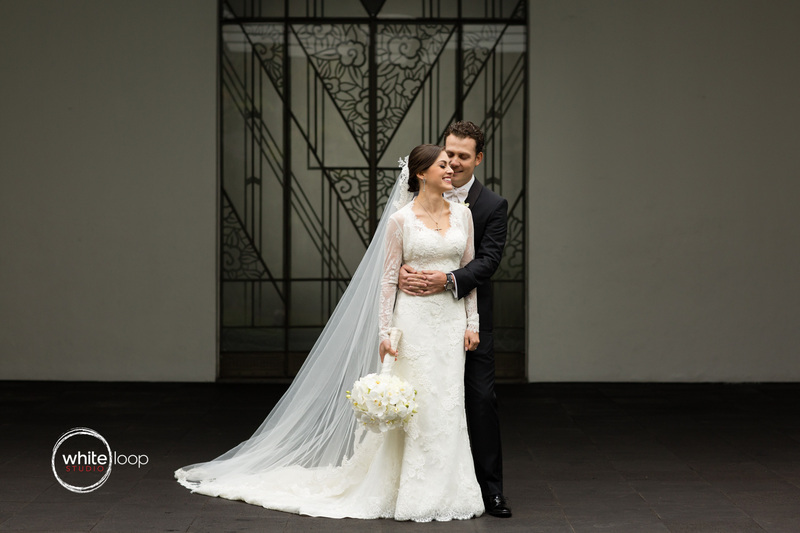 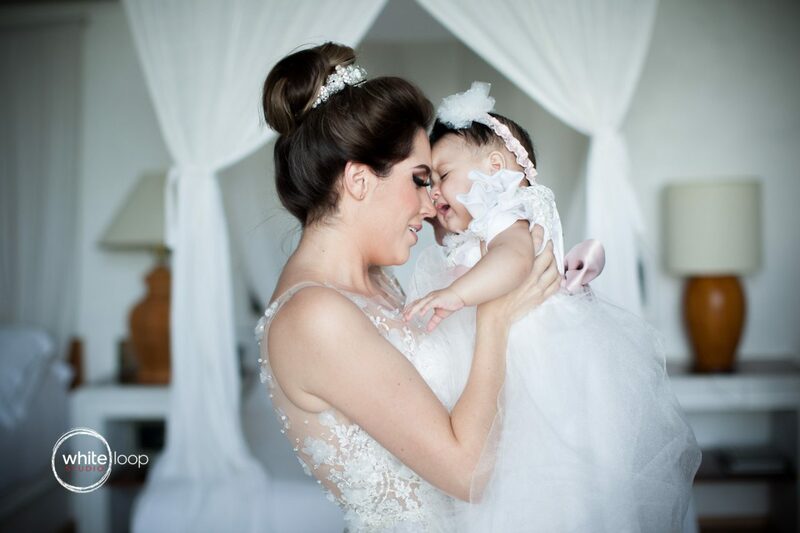 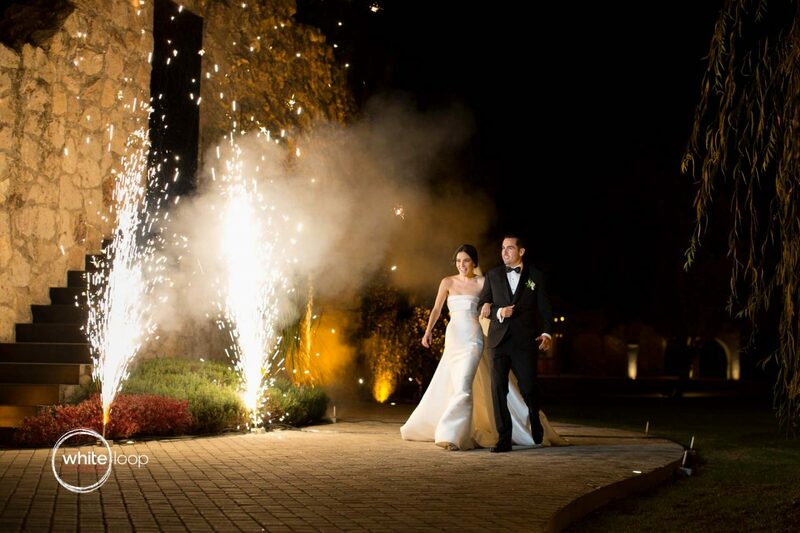 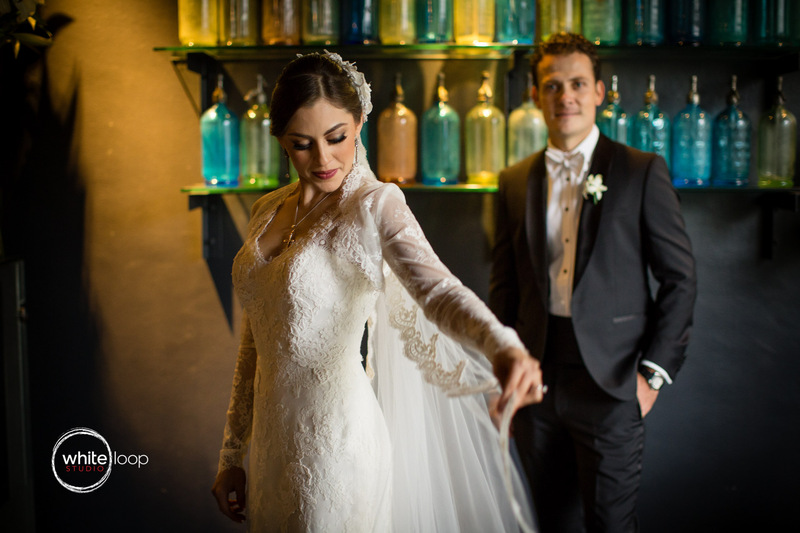 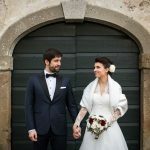 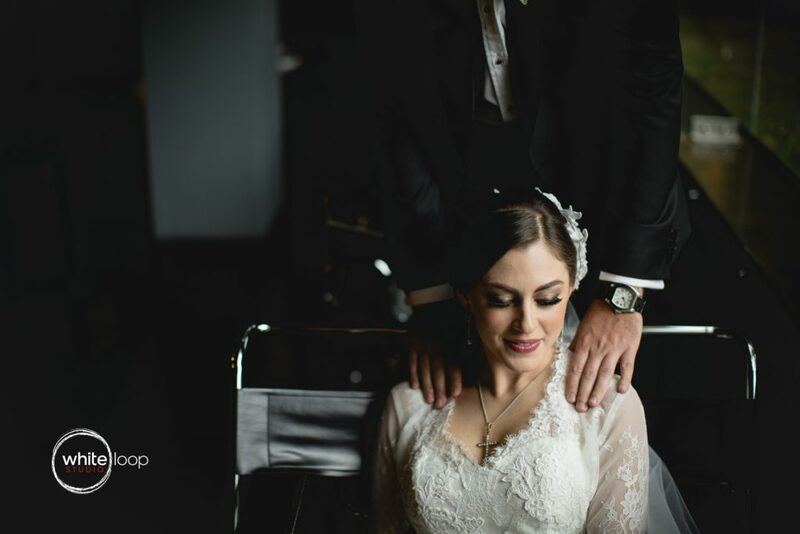 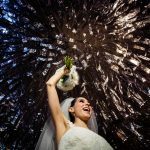 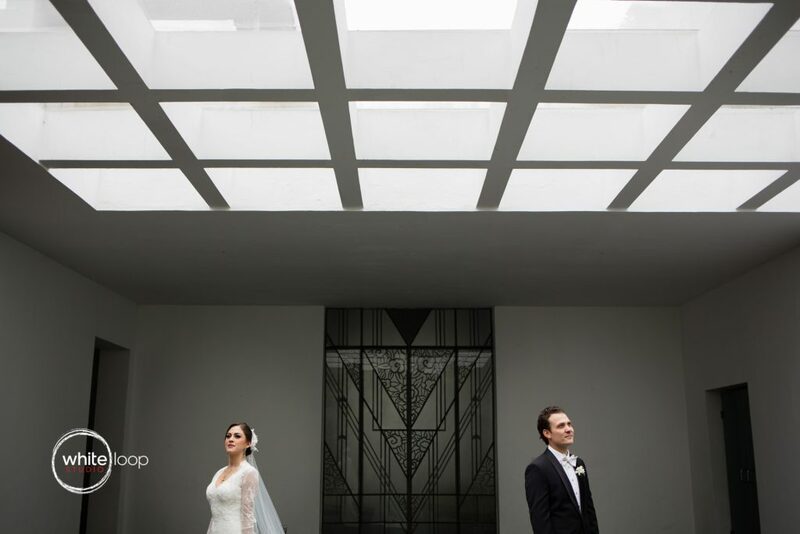 This is a very beautiful Hotel Boutique with an elegant garden where the first look and the family session took place. 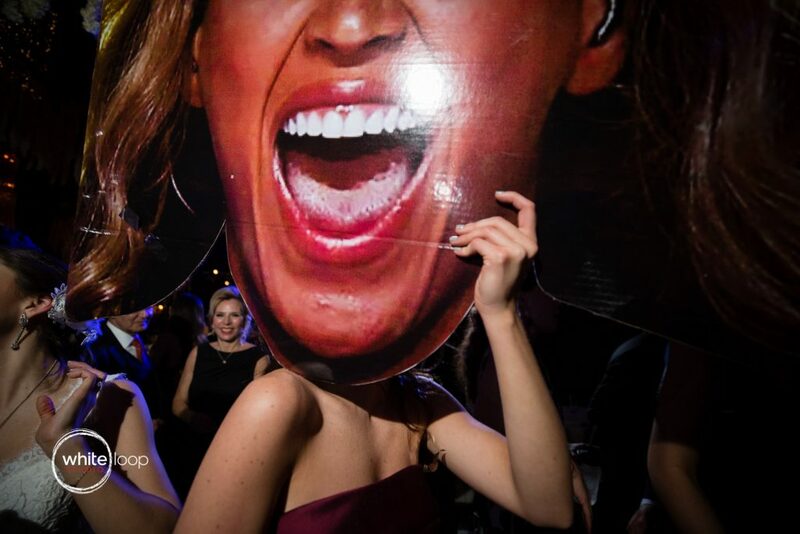 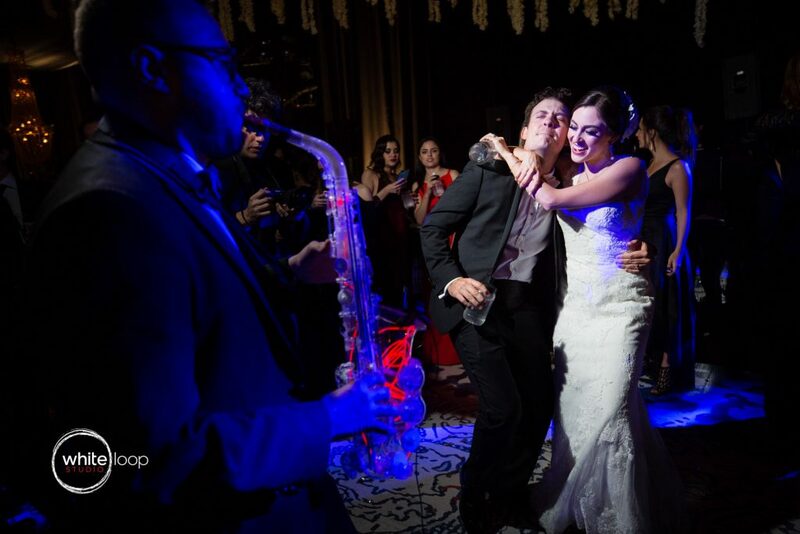 Ale and David have a lot of friends and this fact contributed to make the ambient very pleasant and funny. 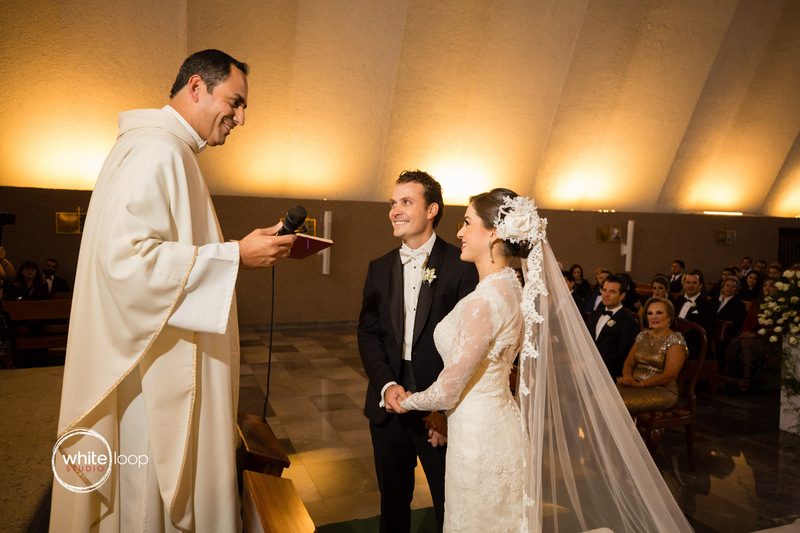 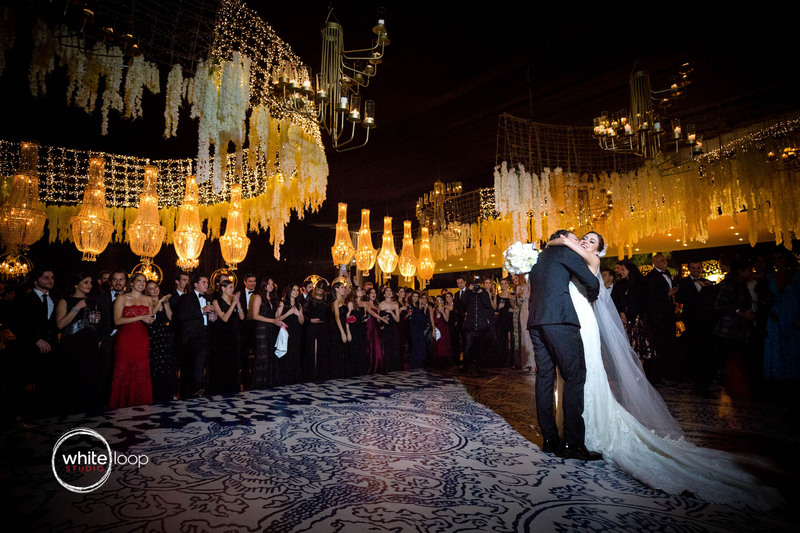 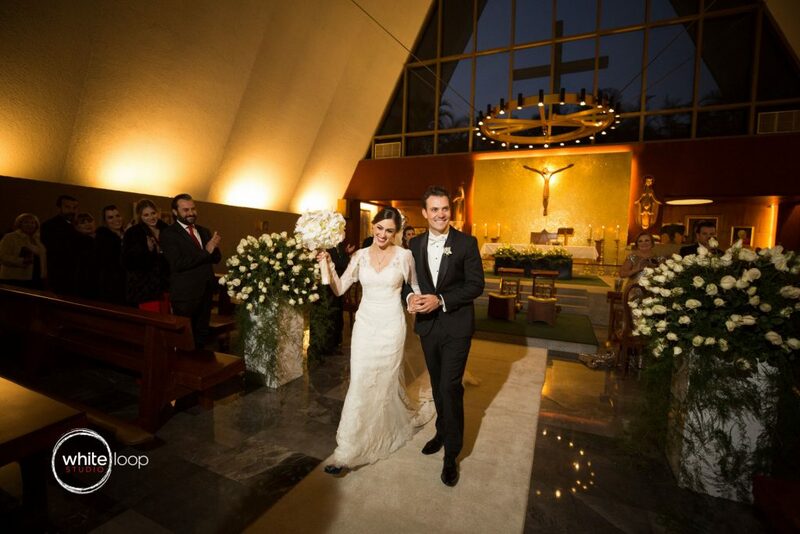 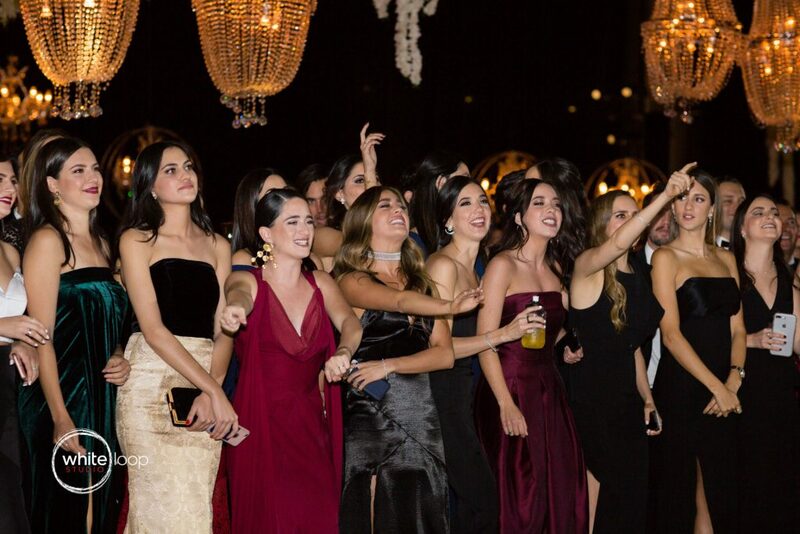 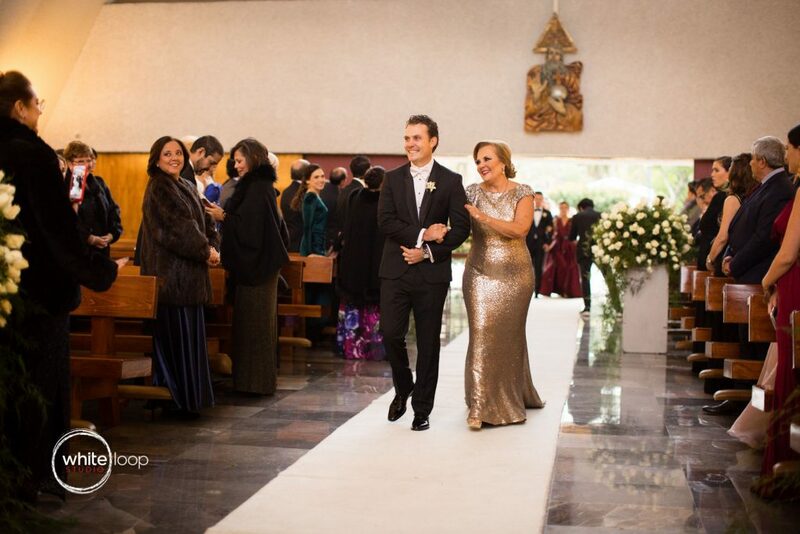 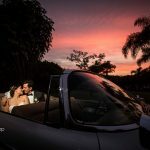 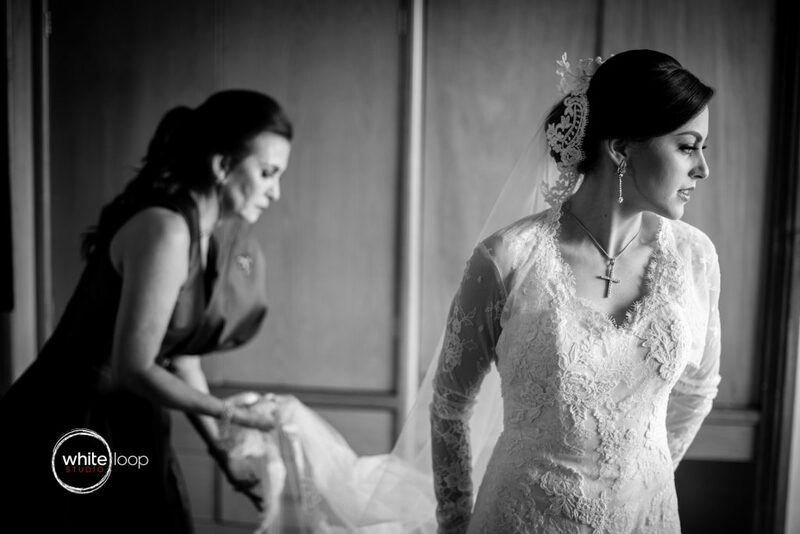 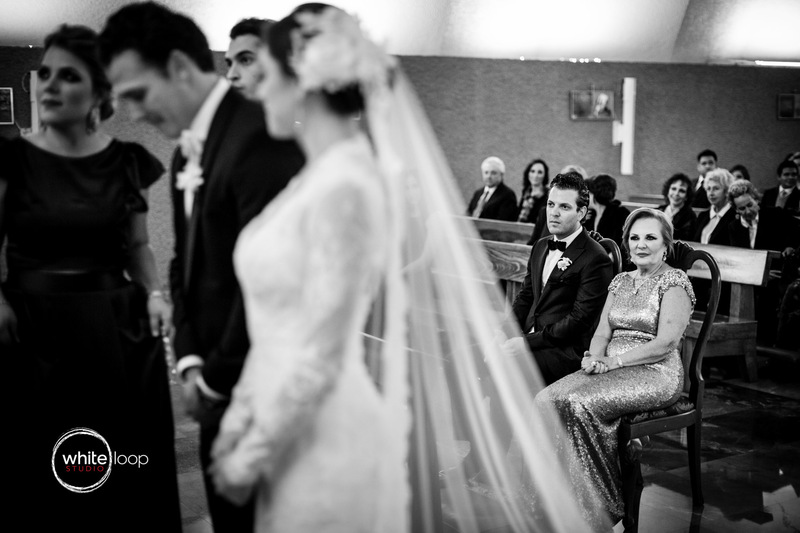 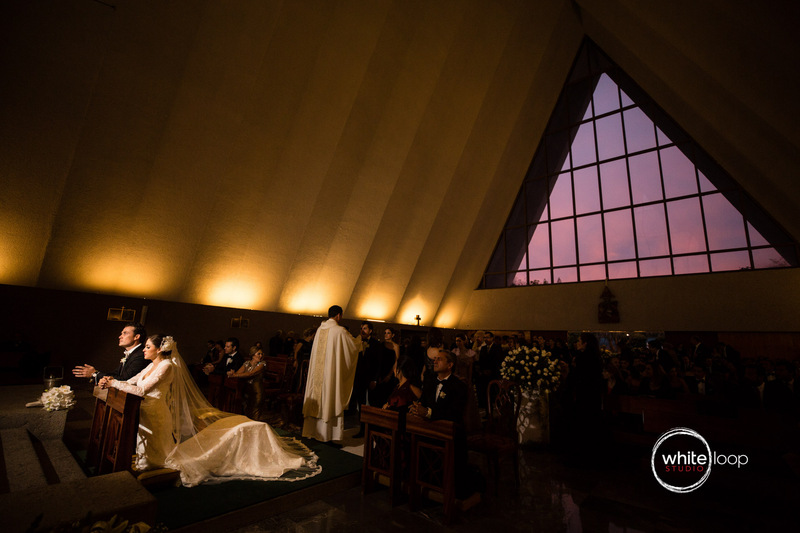 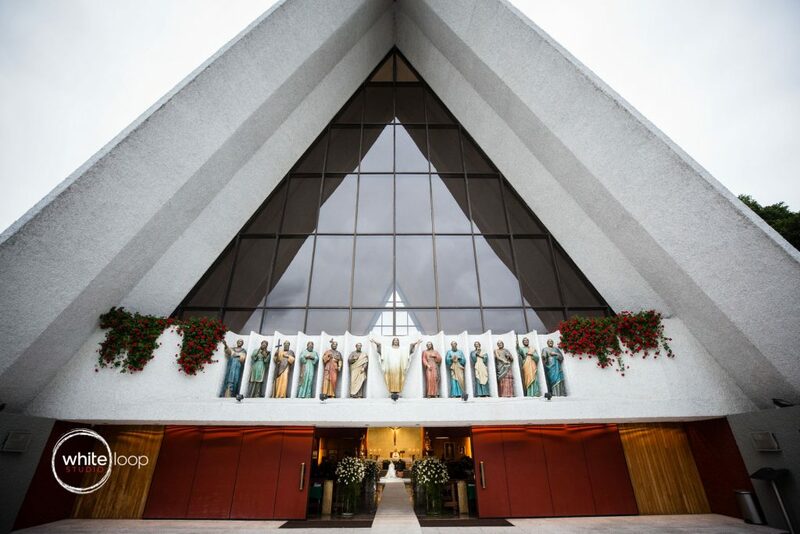 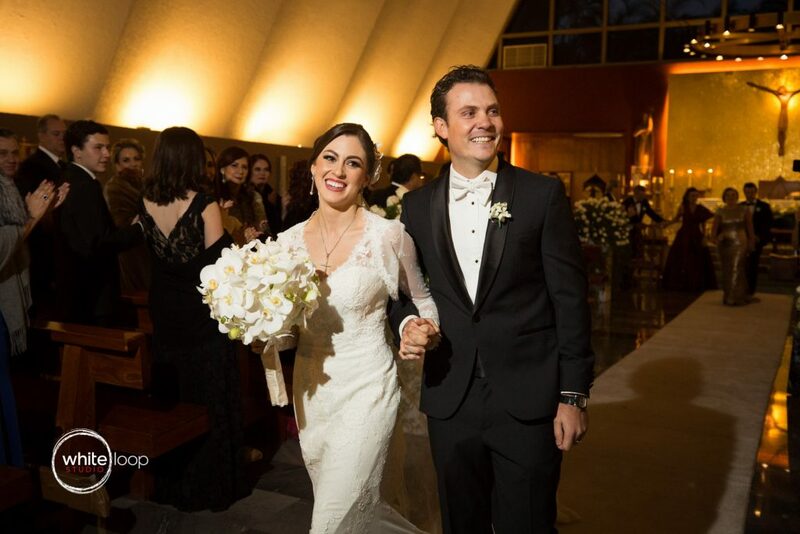 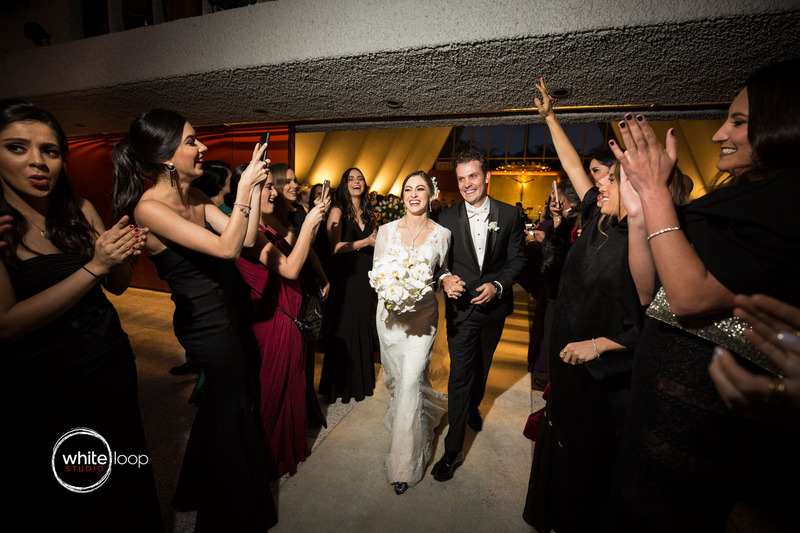 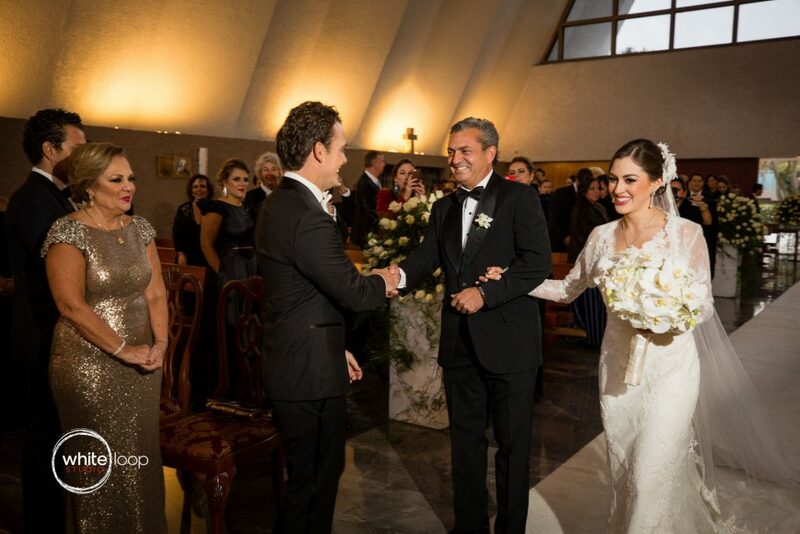 The ceremony took place in the San Javier de las Colinas Church, one of the most beautiful modern church in Guadalajara, where the sunset light delighted the most intense moment of the day. 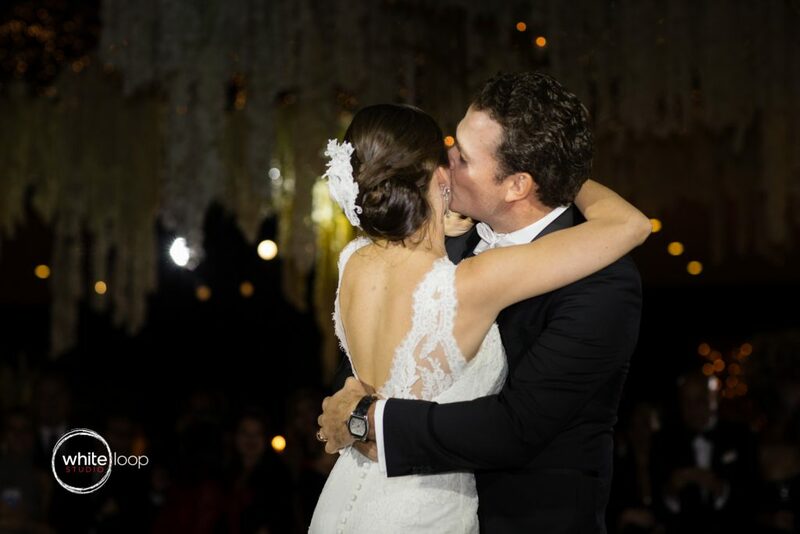 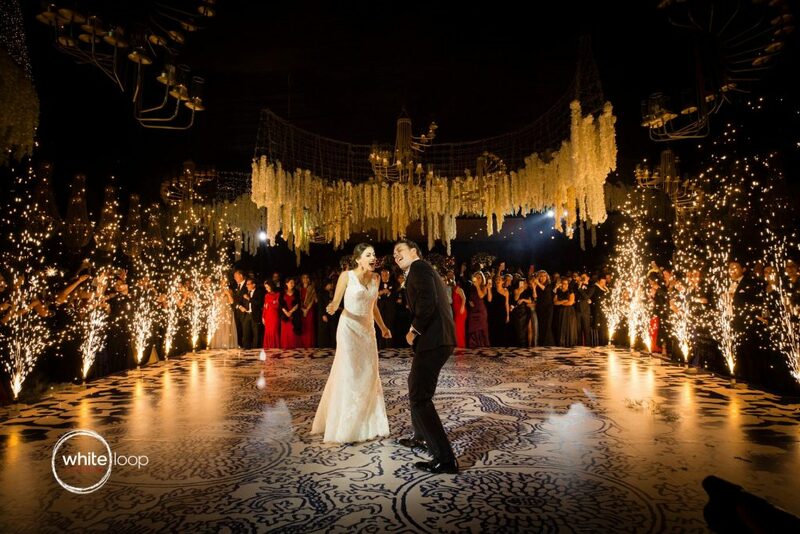 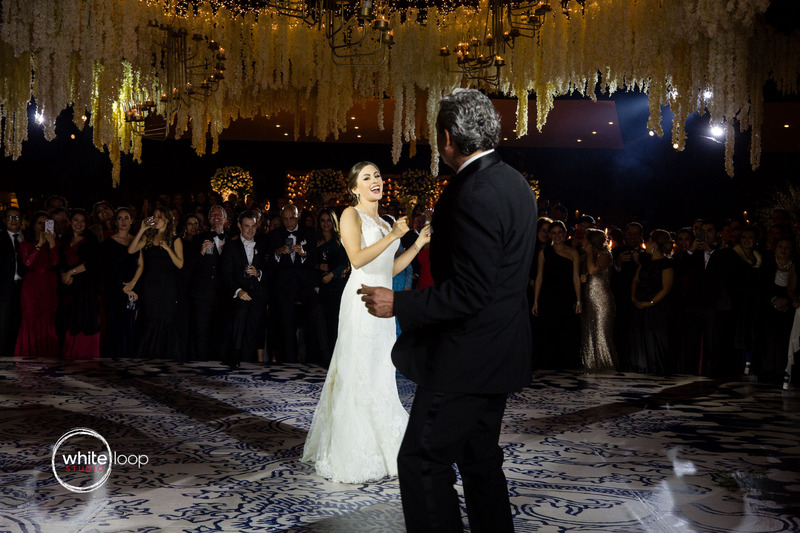 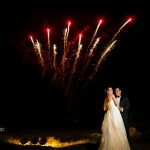 When the ceremony ended, it was night already but when we get to the Viveros San Miguel, the atmosphere was marvellous illuminated and decorated by one of the best projects of MRK Wedding Planner, David’s brother. 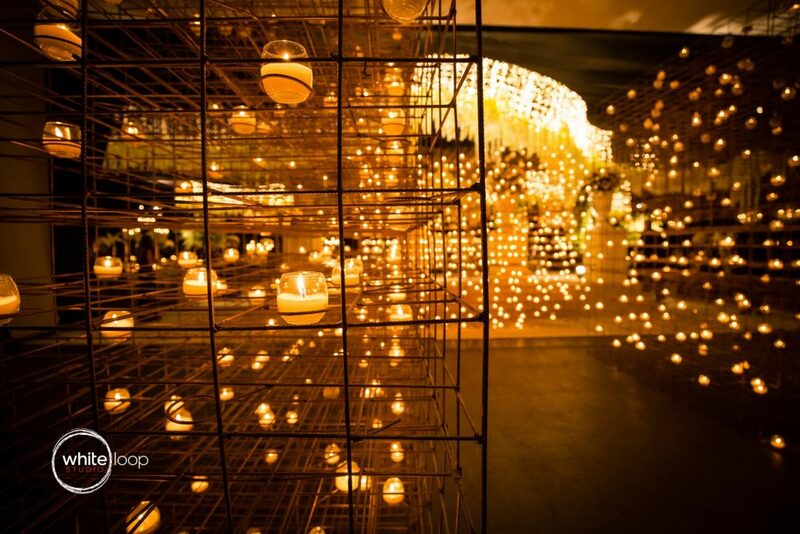 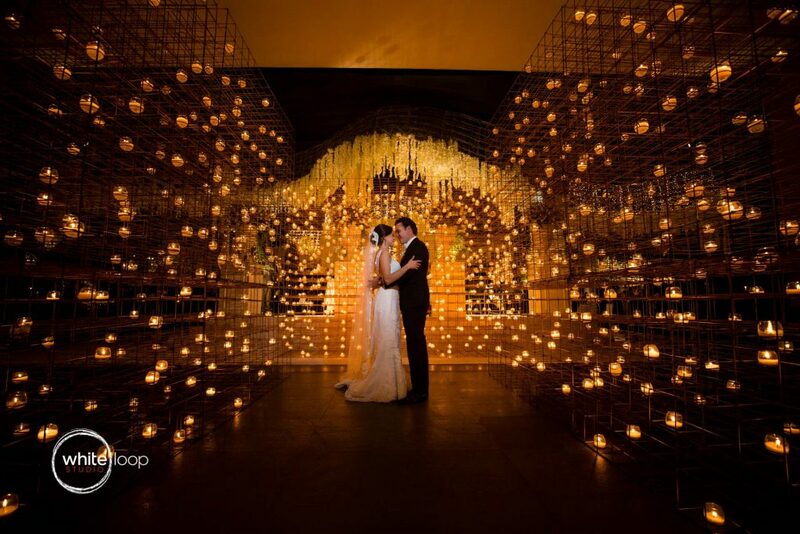 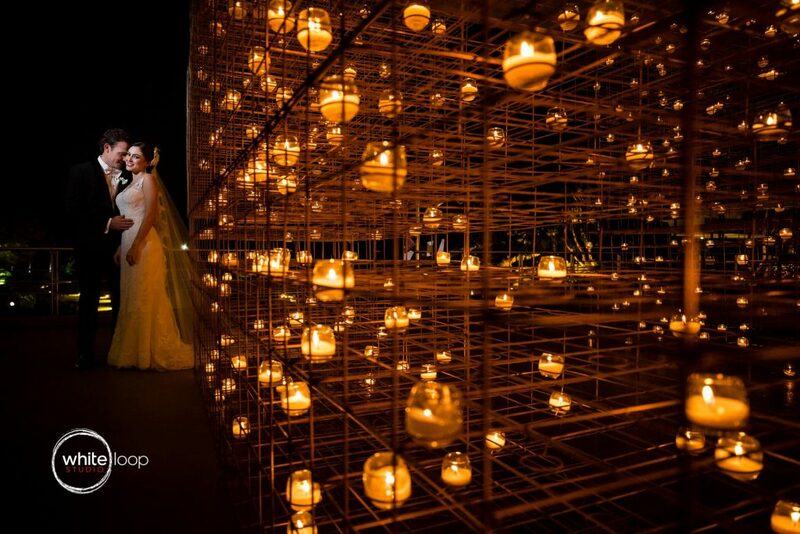 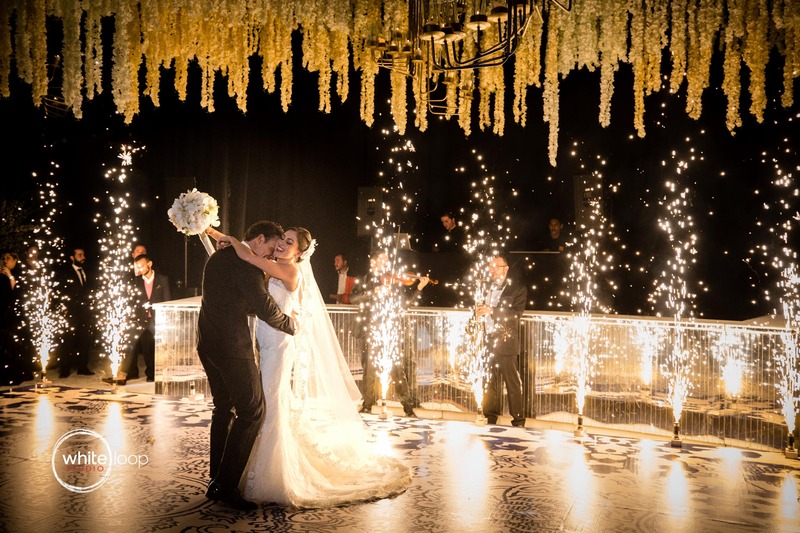 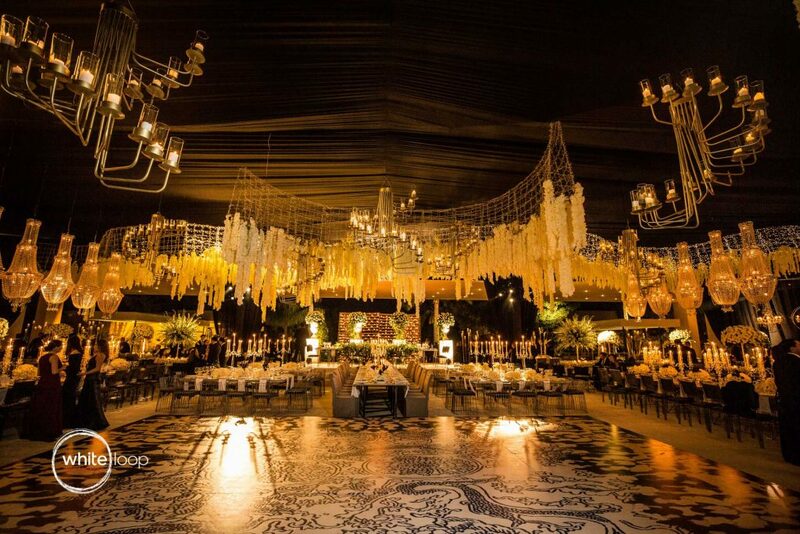 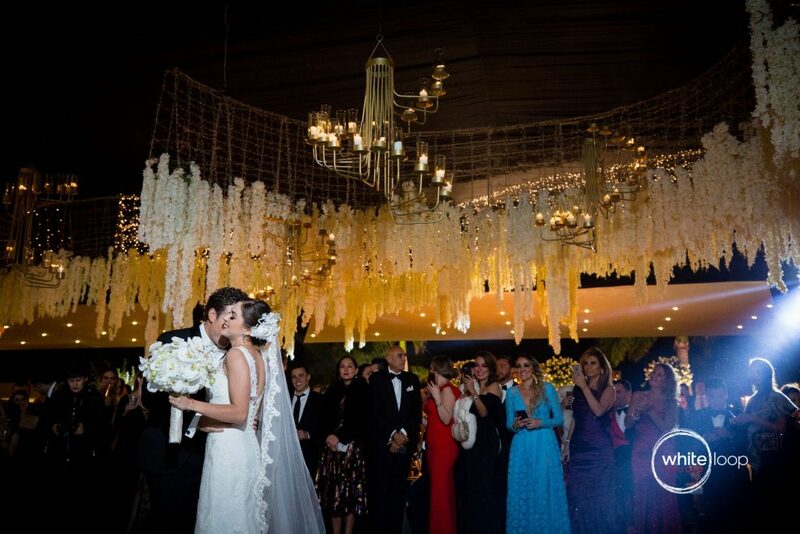 Thousands of candles and hanging flowers where making the ambient glamorous and elegant. 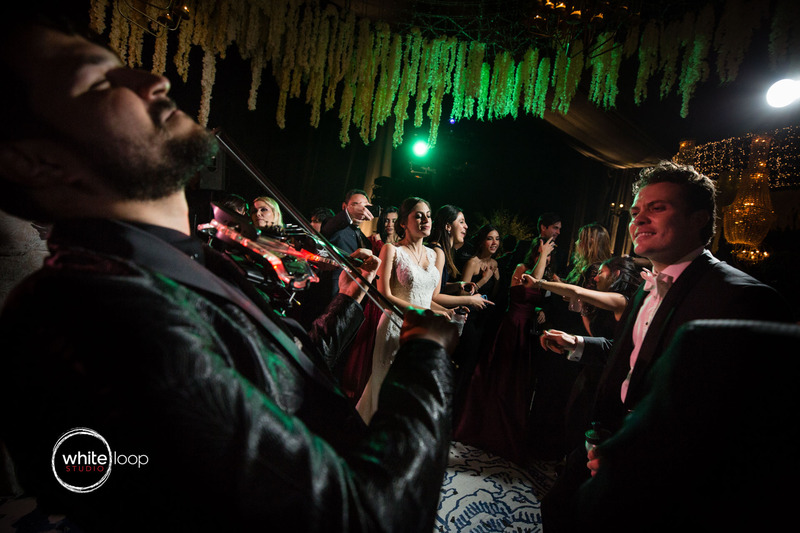 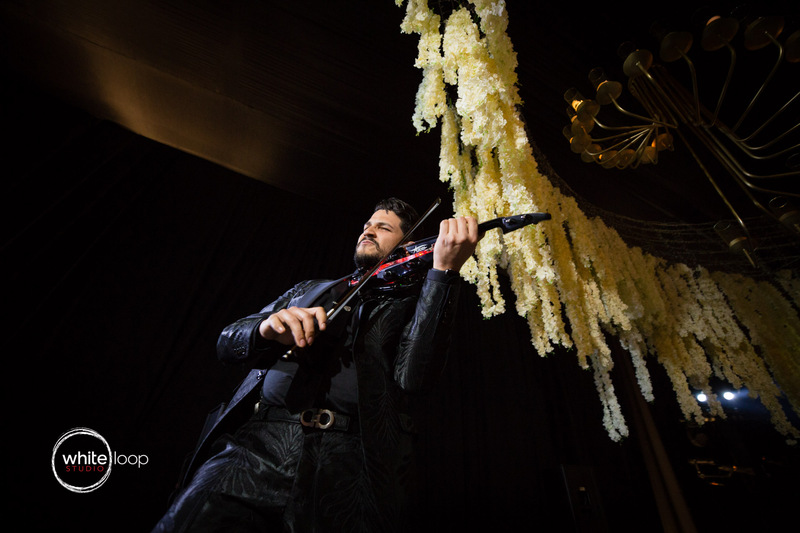 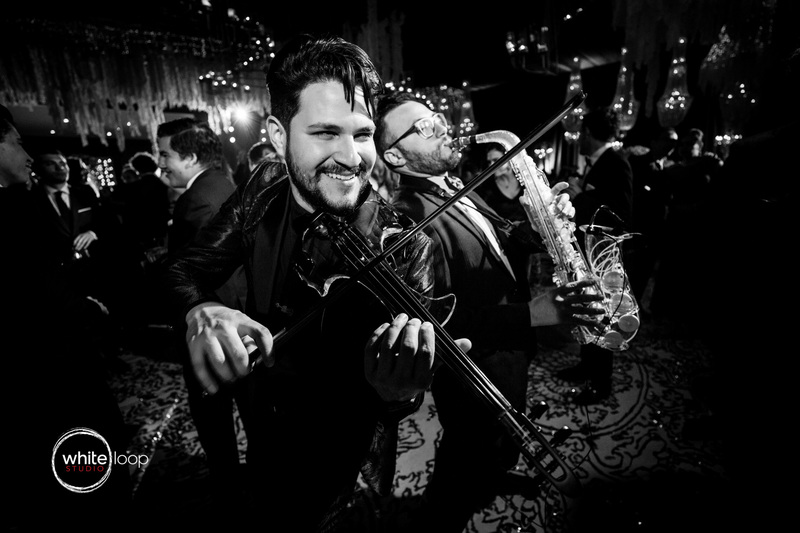 To accompany the beautiful atmosphere, there was Gerardo Pontierr, a extraordinary violinist from Guadalajara and his friend with a saxophone. 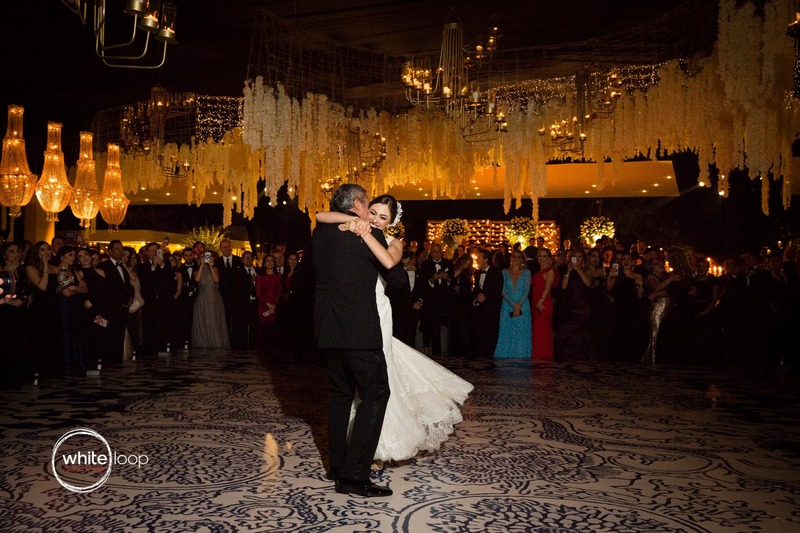 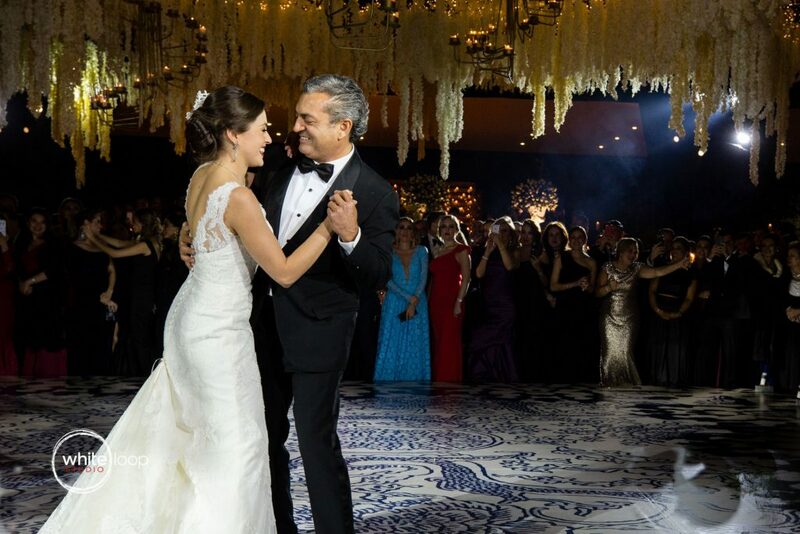 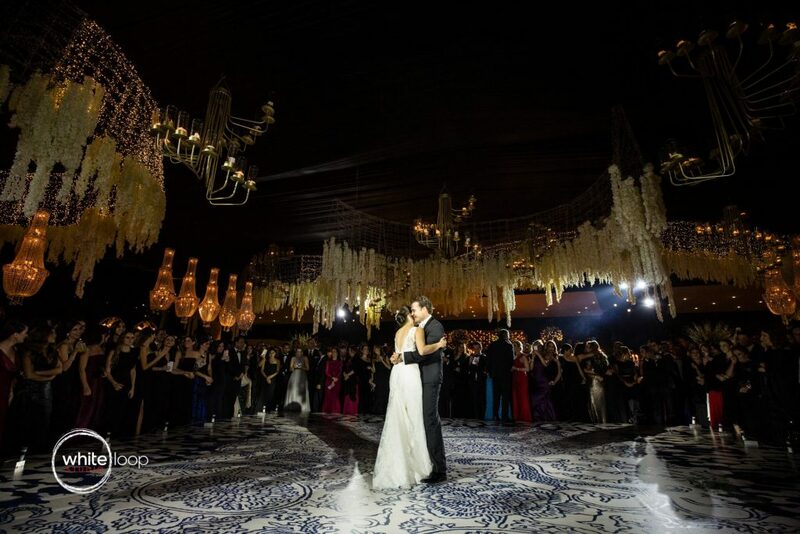 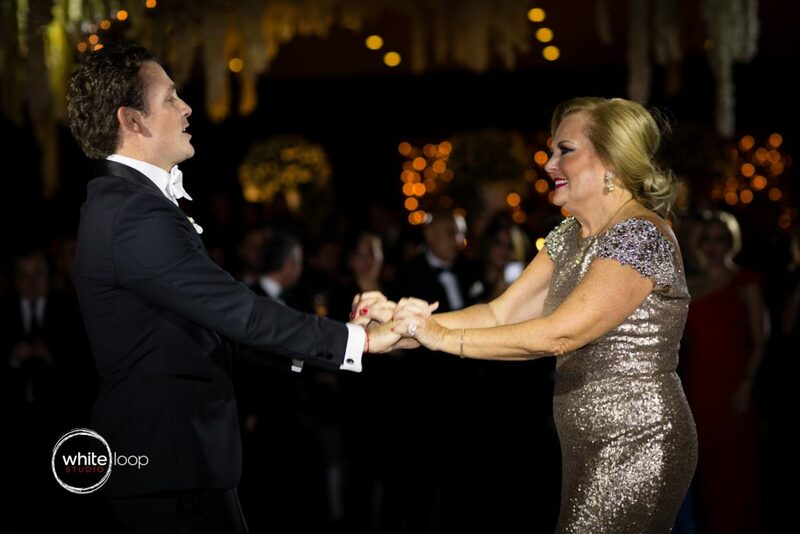 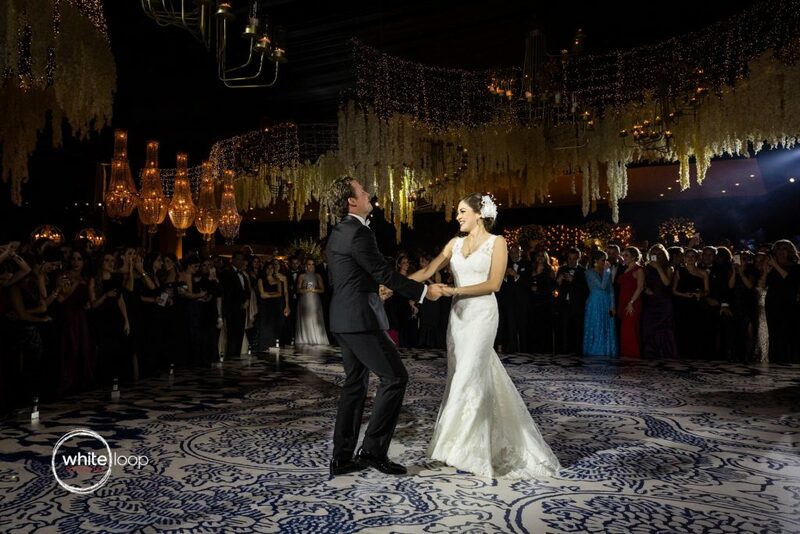 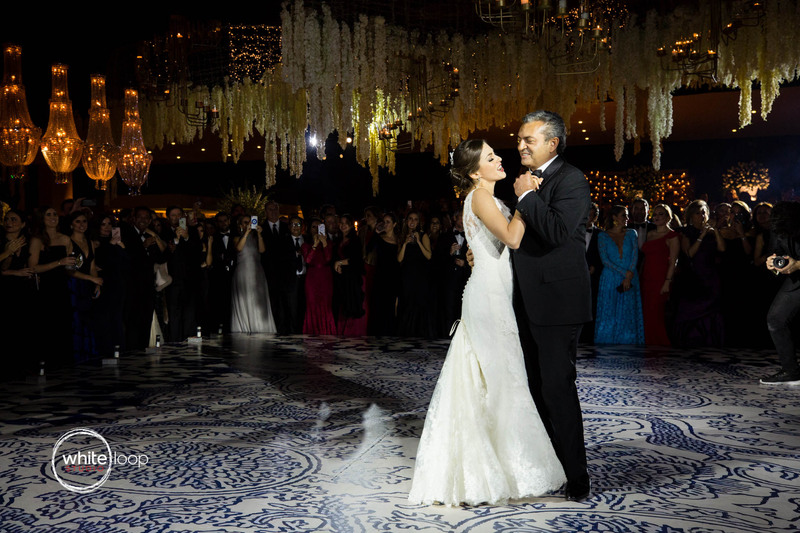 The first dance was a perfect moment of love and entertainment. 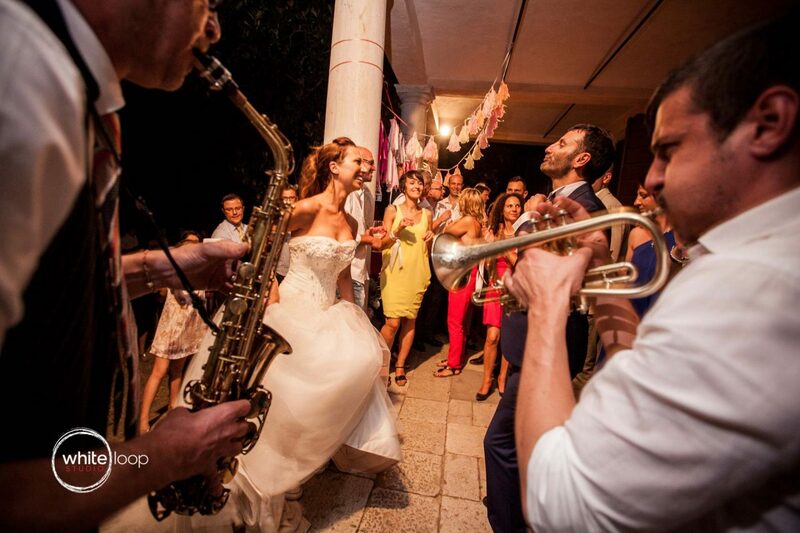 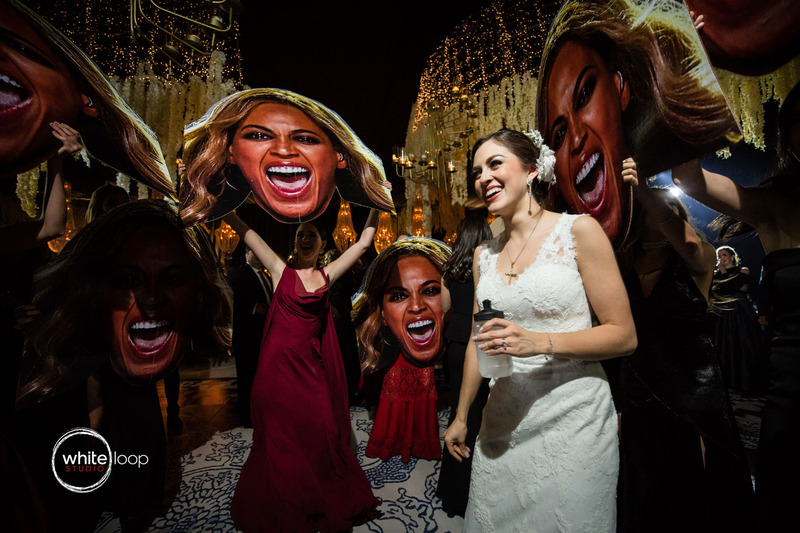 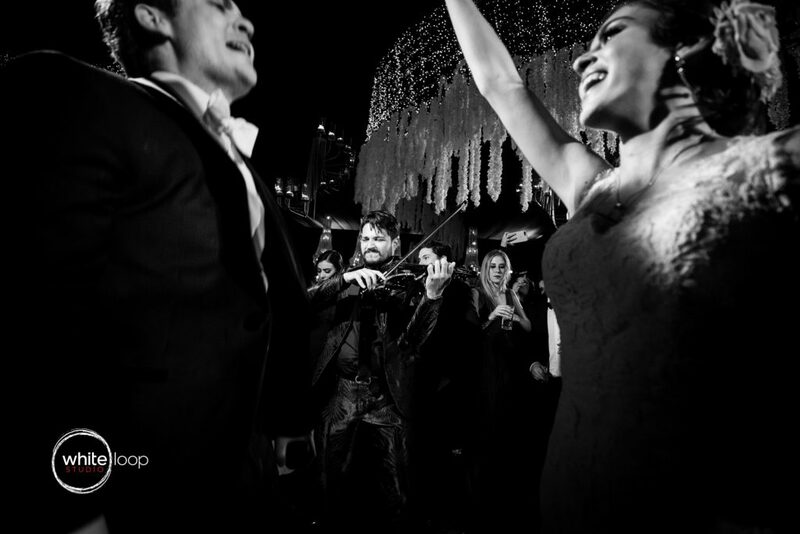 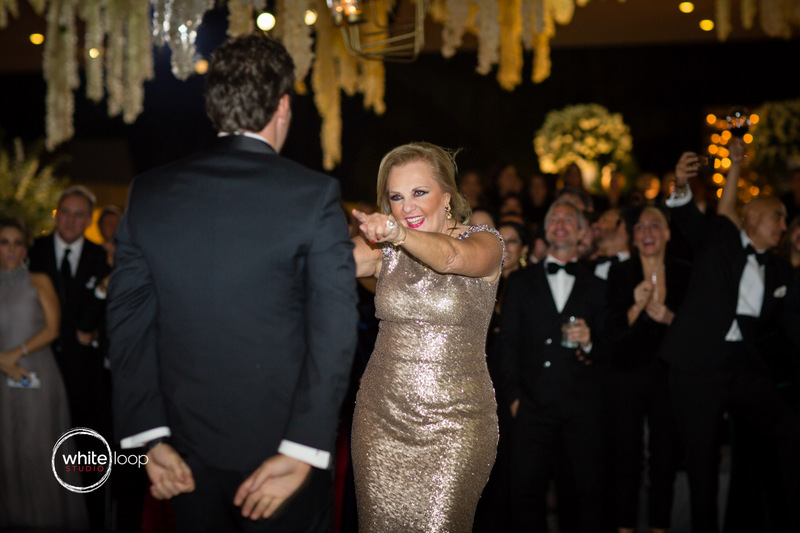 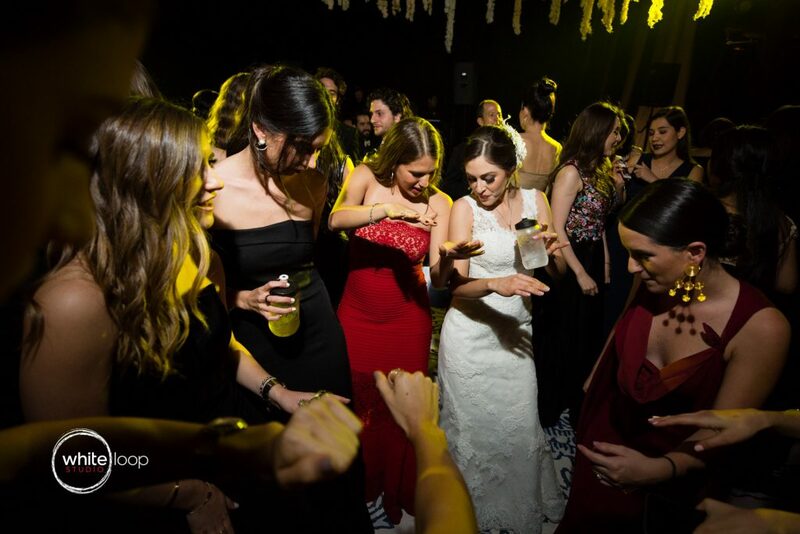 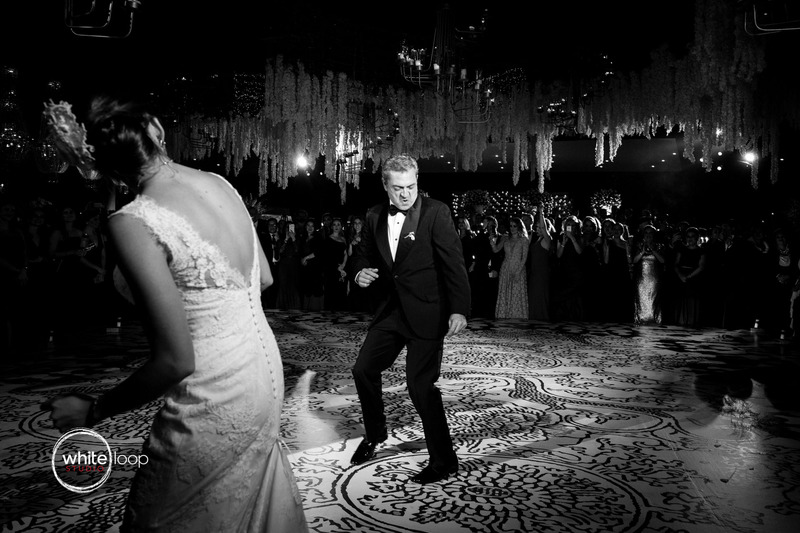 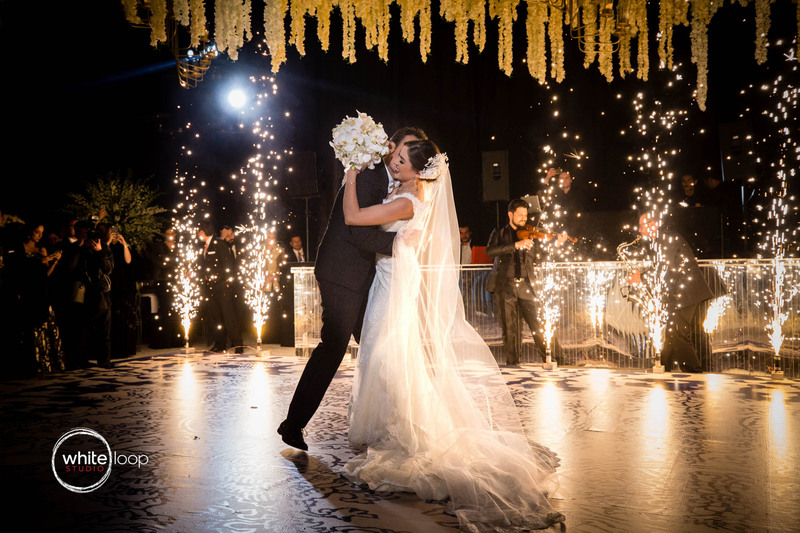 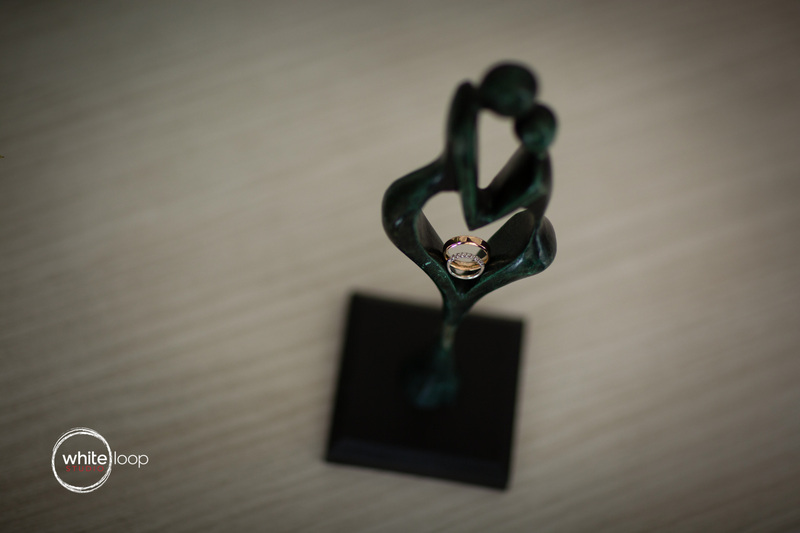 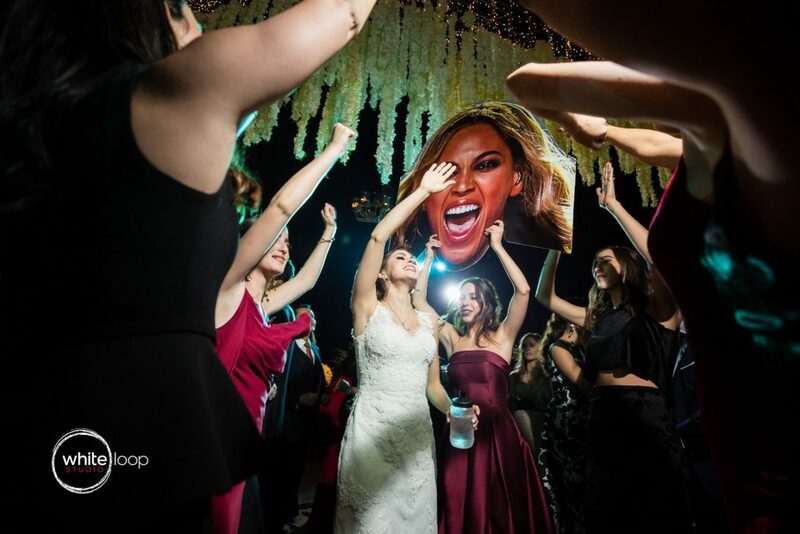 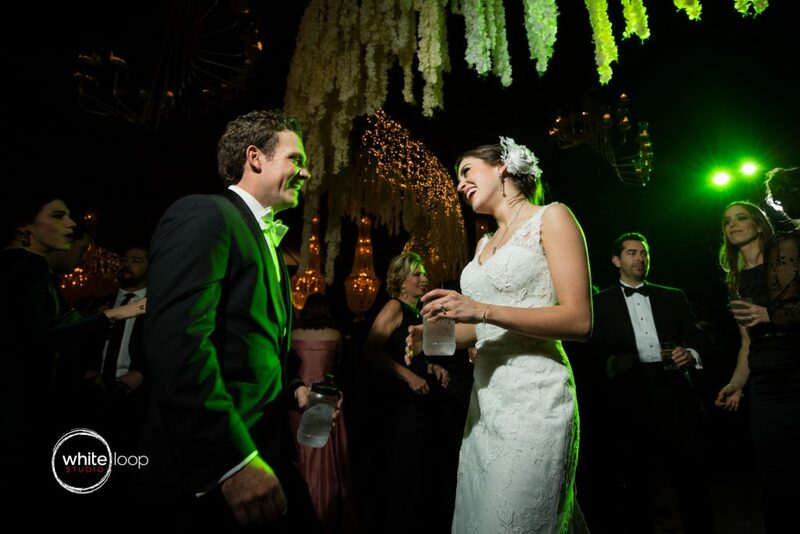 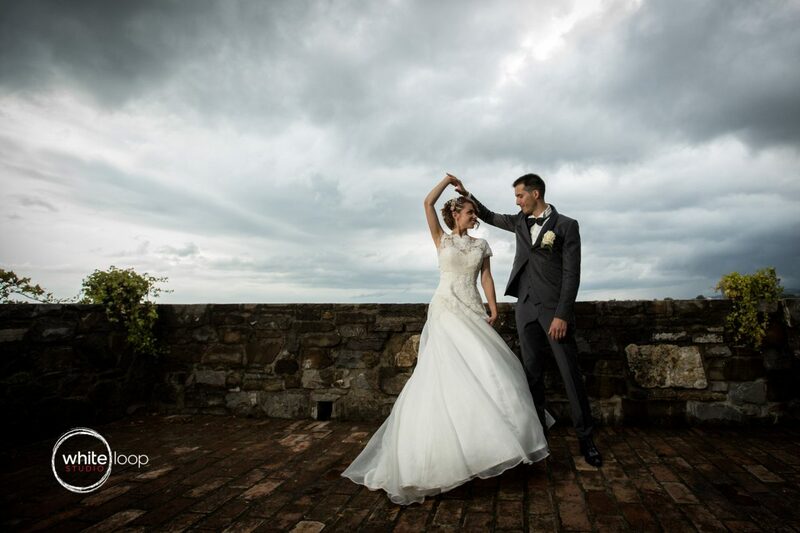 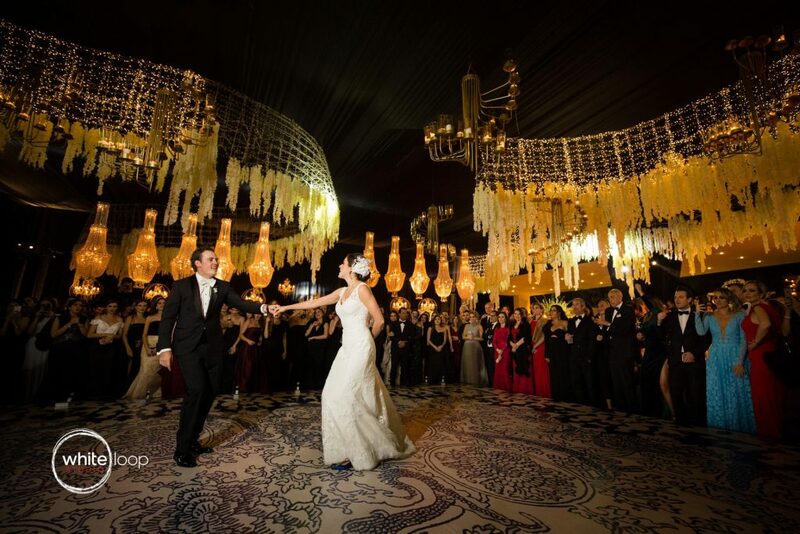 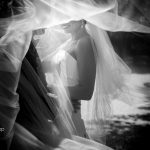 The bride and the groom danced in an energetic way expressing all their syntony and love. 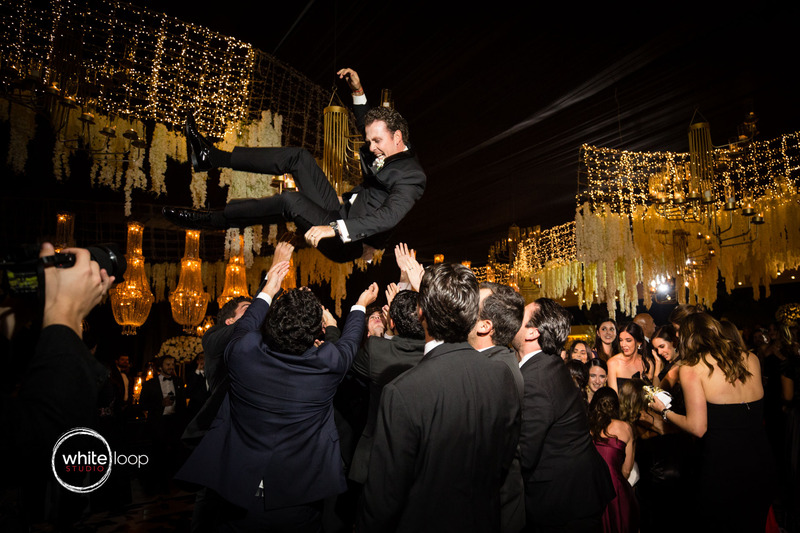 The party followed rich of surprises and hilarious moments, sa when a friend of David almost lost his nose throwing David to the sky! The couple was always in the middle of the stage enjoying the party as it has to be. 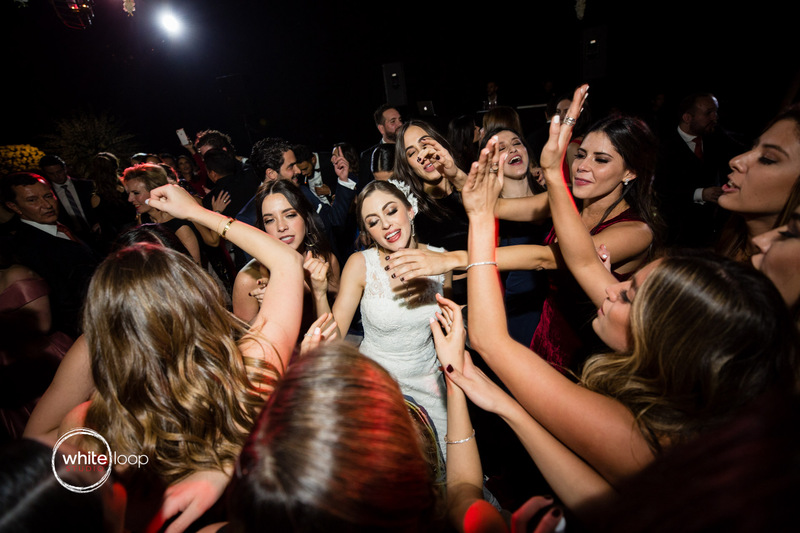 They spread love all around all night long!